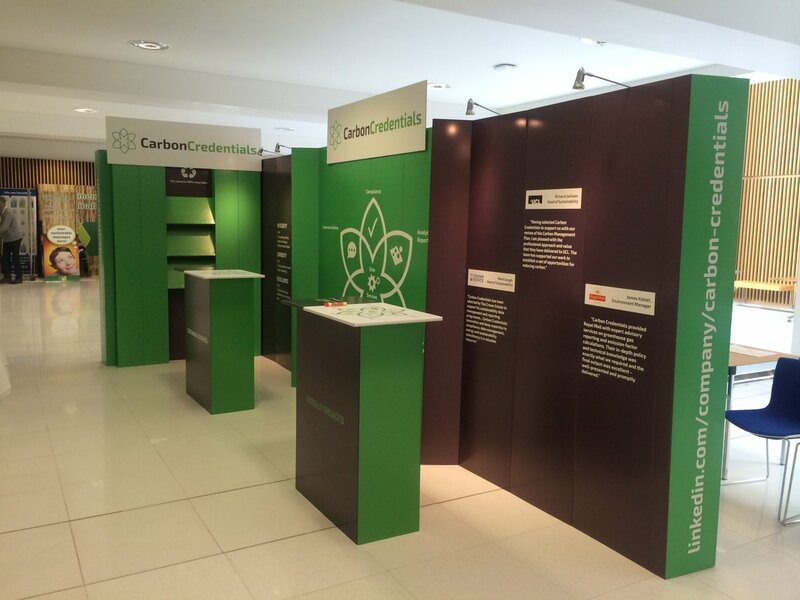 Choose Recyclable Displays and high quality 100% recyclable cardboard to make your event sustainable. Go Green! All our Recyclable Display products are made from cardboard that has at least 75% recycled content and is 100% recyclable. Saving you money AND the planet. Whether you're exhibiting for the first time or are a seasoned exhibitor call our friendly team of experts on: 01761 431300 or email us and let us help you plan your next event. 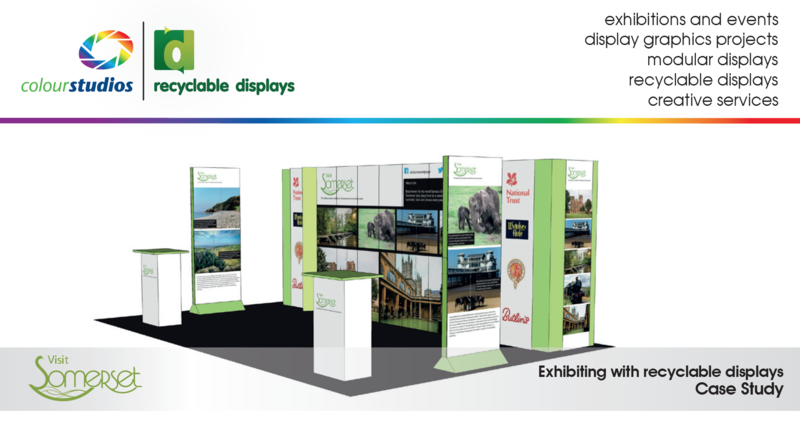 Read our Case Studies to discover why Visit Somerset and Clarion Events choose recyclable displays. 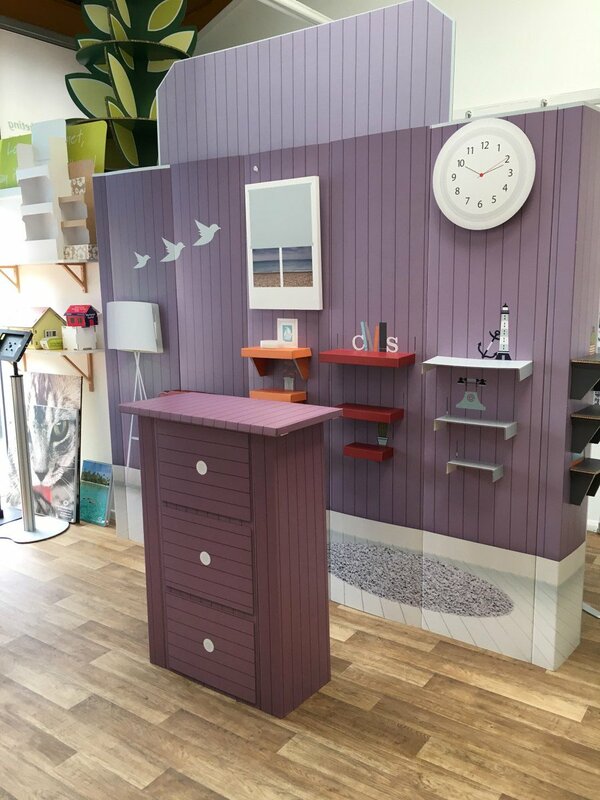 As well as being environmentally friendly, our Recyclable Display products are often not only cheaper to buy, but can also be lighter, more flexible and more fun than the traditional exhibition and promotional display alternatives. If you are interested in saving money and spending your marketing or promotional budget in a sustainable and eco friendly way - these 100% Recyclable Display products are for you. Colour Studios offer design and artworking services, or you can supply your own design for your chosen Recyclable Display. There are artwork templates available to download on every product page, these include general artworking guidelines along with the Recycling logos to use, if you wish. We have an FTP artwork file transfer facility and the link can be found at the bottom of every page, just contact us for a log-in code. 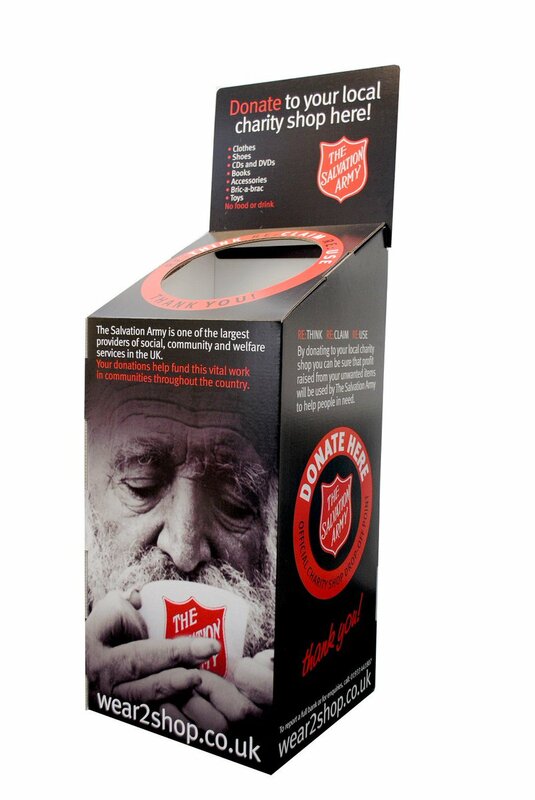 Browse our range of Recyclable Displays and buy online today, alternatively because we design, digitally print, cut, fold and produce our Recyclable Displays in-house if you are not sure which one of our displays will suit you best, contact us and we will be delighted to help. Our bespoke Cardboard Engineering service offers a personalisation and creative service using cardboard to achieve your specific requirements. Colour Studios offers you the opportunity to develop these Recyclable Display products into your own unique display. Many of the Recyclable Display products can be scaled and amended to add extra elements.